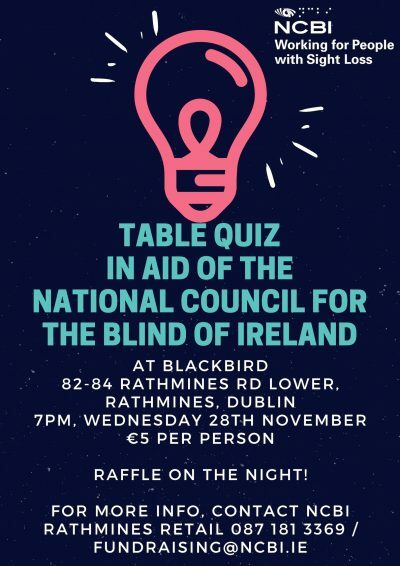 Tomorrow night, Wednesday 28th November, our NCBI Charity Shop Rathmines are hosting their quiz night from 7:30pm at Blackbird, Rathmines. It’s €5 pp, 4-6 persons per table. There will be spot prizes and a raffle on the night with all proceeds going to the provision and delivery of NCBI services. Register your team by contacting Emma in store or on 0871813369.